Over the years many customers had had negative experiences with competing brands of magnetic door ajar switch systems. 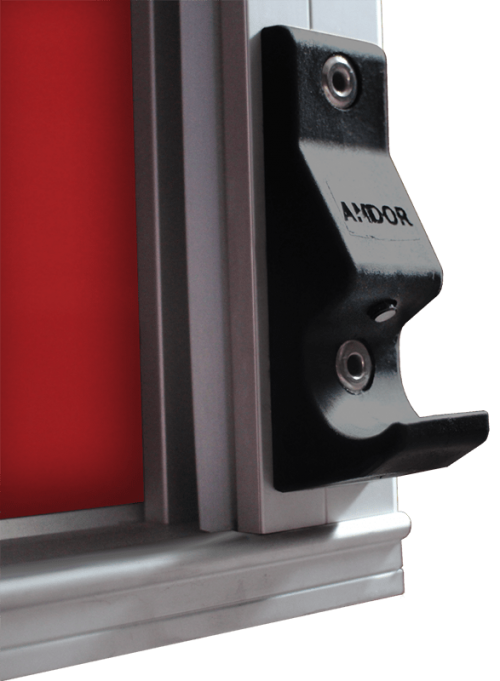 In response to those requesting a non-magnetic door ajar switch solution AMDOR developed a sealed mechanical switch system. 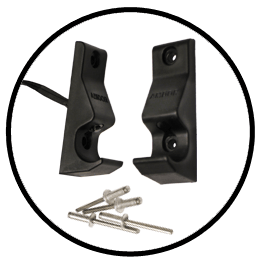 Using a push button trigger within the striker, this mechanical system detects when the door has been left open and sends an alert to the driver. 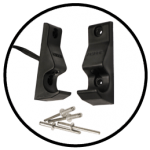 The primary benefit of this system is that the switch may only be activated by positive engagement of the lift bar. The military grade switch is hermetically sealed for protection against water and debris. Each system is tested one million times under load, and in conjunction with Luma Bar® Integral lights, for NFPA compliance. This mechanical switch is designed to be utilized as a trigger to ground with a conventional automotive relay handling power distribution. The mechanical door ajar system is suitable for both new and retro-fit applications.. Mounting Position: The push-button is located within the striker and operates as an on/off switch. When utilized in conjunction with a relay, the switch will control compartment lights and provide a signal to indicate an unlatched door.